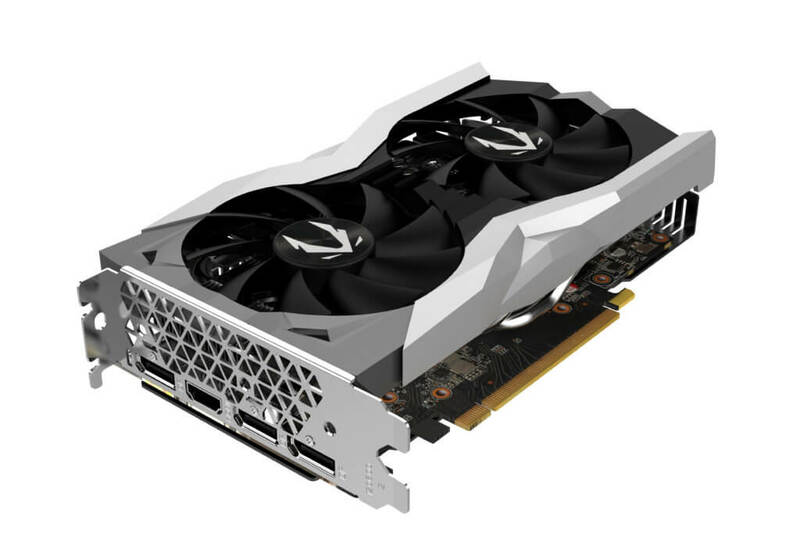 To those who may not know, Zotac is primarily a graphics card manufacturer exclusively licensed by Nvidia to design and sell video cards based on their GPU designs, however, that is not their only product line. Zotac is also reputed for their Small Form-Factor PCs. 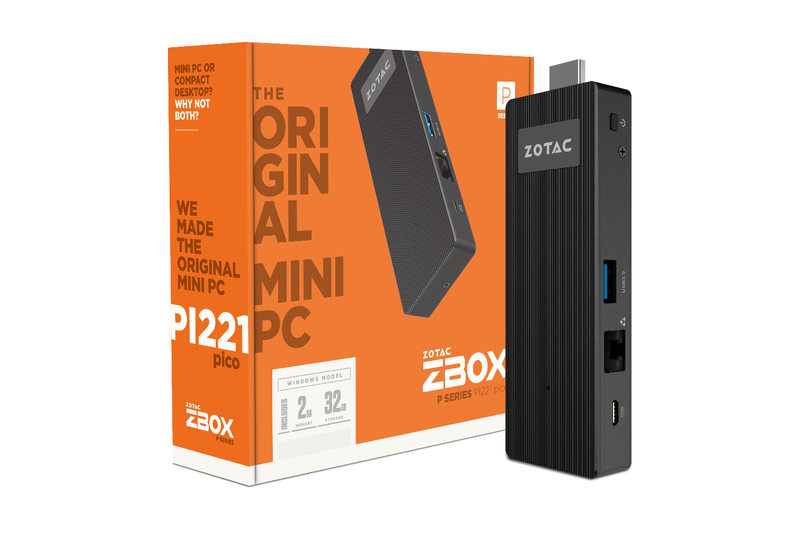 Today, they are expanding on their lineup of mini-PCs by introducing their first PC-on-a-Stick, their smallest PCs yet, the Zbox PI220 and PI221. 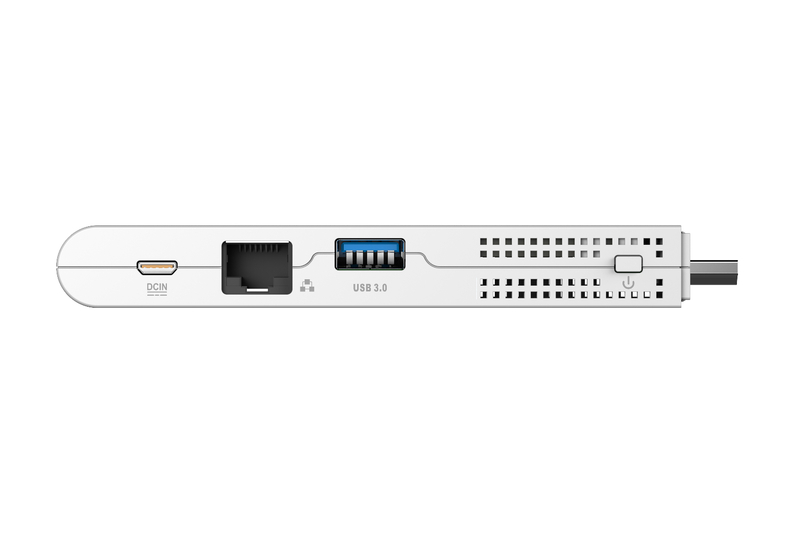 These PCs have a configuration and theoretical performance similar to Intel’s own Compute Stick, featuring one HDMI out and one USB 3.0 (which is essentially the only difference in the ports, since the Compute Stick has 2 of them). 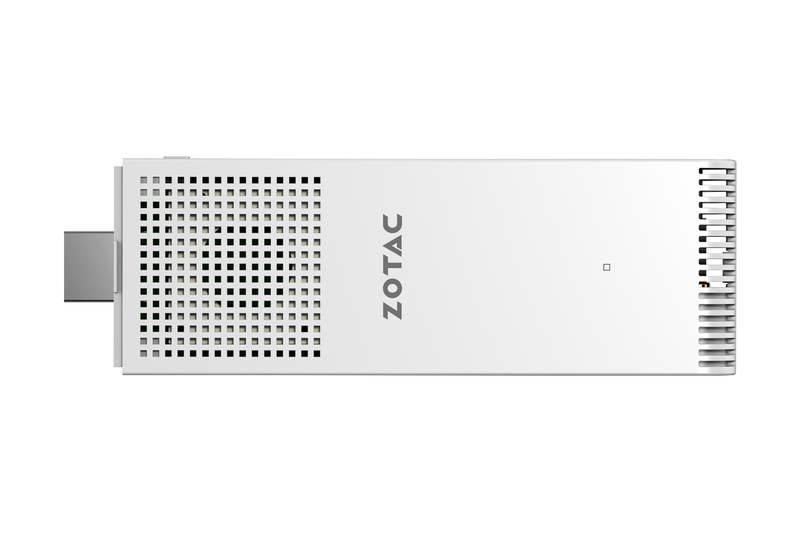 The Zotac PI Sticks have one major advantage, however, the inclusion of an RJ45 socket, allowing wired internet connectivity in the absence of wifi. The PI220 has a potential advantage over the Compute Sticks, thanks to the inclusion of a fan, which is missing on some, if not all, models of the Compute Stick, allowing for better cooling than the latter’s passive cooling setup. However, the PI221 is entirely fanless, featuring a passive cooling system. 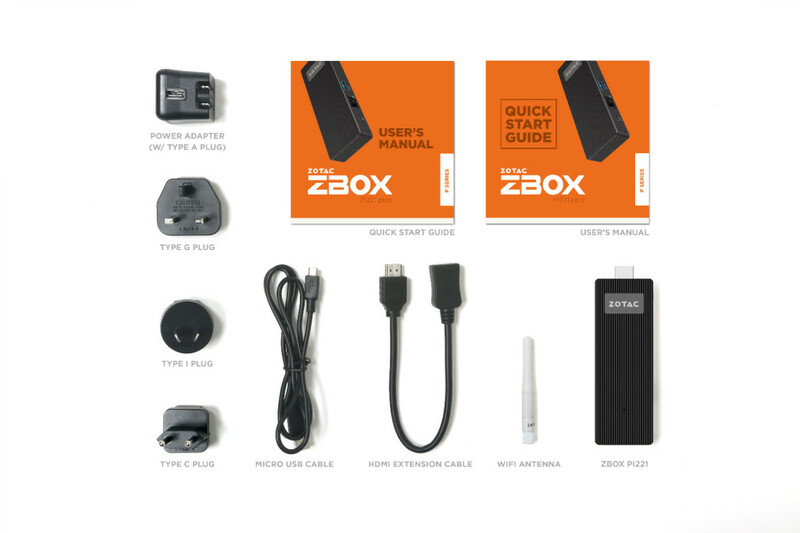 The internal hardware of the Zbox line is fairly similar to the Compute Stick, as well. Both of Zotac’s devices and the Compute Stick use an Intel Atom X5-Z8300 Cherry Trail SoC with four Airmont CPU cores. The CPU cores have a base frequency of 1.44 GHz and a turbo boost speed of 1.84 GHz. 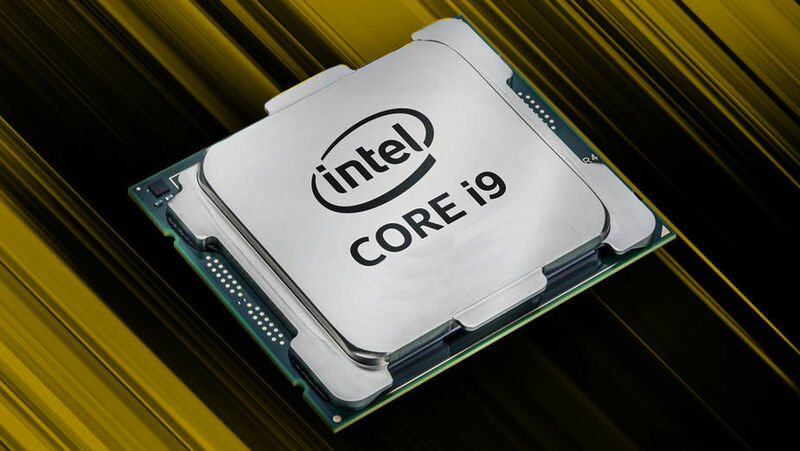 DDR3L (2 GB) clocked at 1600 MHz is connected to the SoC over a single-channel 64-bit memory interface, providing the system with 12.8 GB/s of bandwidth. 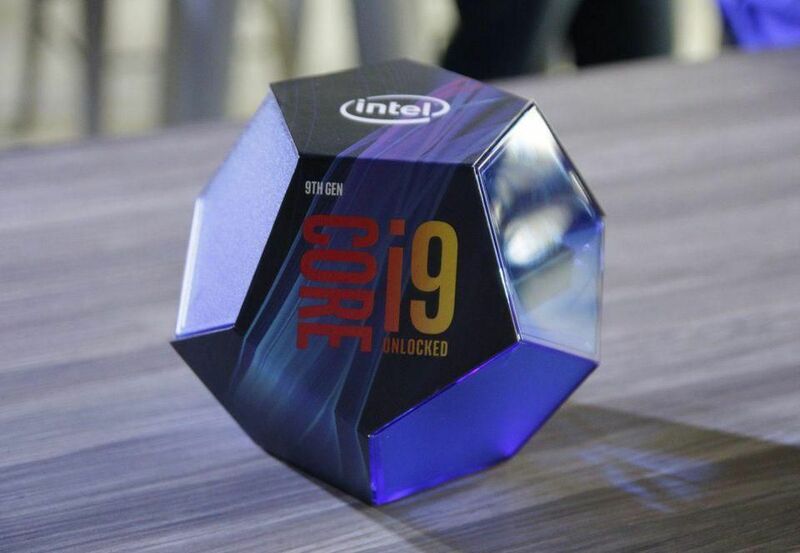 Zotac’s primary competitor in this market space is Intel. 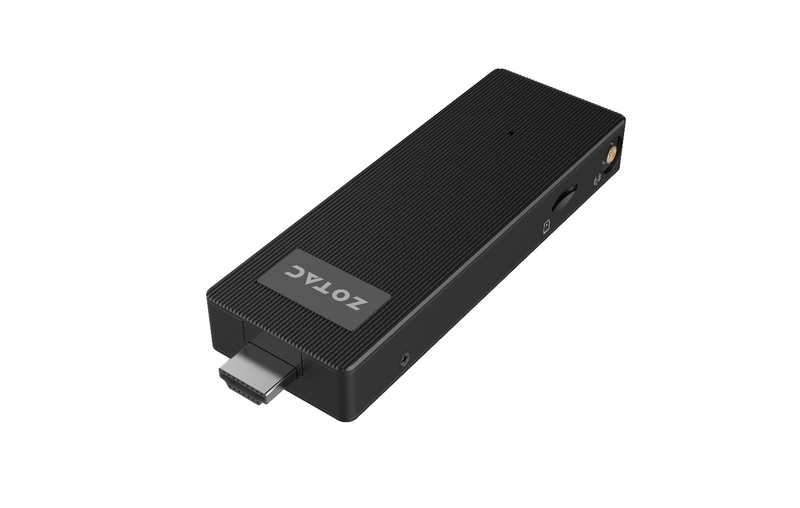 There are other competing products such as the Lenovo Ideacentre Stick 300, but this device is at a disadvantage compared to Intel’s second generation Compute Stick and Zotac’s Zbox PI220 and PI221. Zotac has not yet confirmed when the Zbox PCs will be available or what they will be priced at.